The berimbau (Portuguese pronunciation: [beɾĩˈbaw]) is a single-string percussion instrument, a musical bow, from Brazil. Originally from Africa where it receives different names, the berimbau was eventually incorporated into the practice of the Afro-Brazilian martial art capoeira, the berimbau (the soul of capoeira) leads the capoeiristas movement in the roda—the faster the berimbau is playing the faster the capoeirista moves in the game. The instrument is known for being the subject matter of a popular song by Brazilian guitarist Baden Powell, with lyrics by Vinicius de Moraes. The instrument is also a part of Candomblé-de-caboclo tradition. The berimbau's origins have not been fully researched, though it is most likely an adaptation of African gourde musical bows, as no Indigenous Brazilian or European people use musical bows. One belief, popularized by Ana Palmer, states that the berimbau may have started as a weapon disguised as an instrument. The way the berimbau and the m'bulumbumba of southwest Angola are made and played are very similar, as well as the tuning and basic patterns performed on these instruments. The assimilation of this African instrument into the Brazilian capoeira is evident also in other Bantu terms used for musical bows in Brazilian, including urucungo, and madimba lungungu. By the twentieth century, the instrument was with the jogo de capoeira (game of capoeira), which had come to be known as the berimbau, a Portuguese misnomer. The Portuguese used this word for their musical instrument the guimbarde, also known as a Jew's harp. As the Jew's harp and hungu shared some similarities when the latter was held in the mouth, the Portuguese referred to it as berimbau, akin to how the African lamellaphone came to be known in English as the "hand piano" or "thumb piano." The smaller type of the African bow (in which the performer's mouth is used as a resonator) was called the "berimbau de boca" (mouth guimbarde) whereas the gourd-resonating type became the "berimbau de barriga" (belly guimbarde). The berimbau slowly came to replace the drum as the central instrument for the jogo de capoeira, which it is now famous for and widely associated with. The berimbau consists of a wooden bow (verga – traditionally made from biribá wood, which grows in Brazil), about 4 to 5 feet (1.2 to 1.5 metres) long, with a steel string (arame – often pulled from the inside of an automobile tire) tightly strung and secured from one end of the verga to the other. A gourd (cabaça), dried, opened and hollowed-out, attached to the lower portion of the Verga by a loop of tough string, acts as a resonator. Since the 1950s, Brazilian berimbaus have been painted in bright colors, following local Brazilian taste; today, most makers follow the tourist consumer's quest for (pretended) authenticity, and use clear varnish and discreet decoration. To play the berimbau, one holds it in one hand, wrapping the two middle fingers around the verga, and placing the little finger under the cabaça's string loop (the "anel"), and balancing the weight there. A small stone or coin (pedra or dobrão) is held between the index and thumb of the same hand that holds the berimbau. The cabaça is rested against the abdomen. In the other hand, one holds a stick (baqueta or "vaqueta" – usually wooden, very rarely made of metal) and a shaker (caxixi). One strikes the arame with the baqueta to produce the sound. 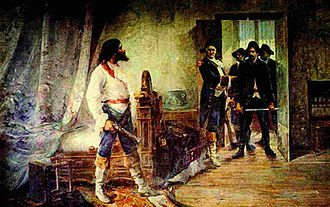 The caxixi accompanies the baqueta. The dobrão is moved back and forth from the arame to change the pitch produced by the berimbau. The sound can also be altered by moving the cabaça back and forth from the abdomen, producing a wah-like sound. Calling the cabaça a gourd is technically a mistake. As far as Brazilian berimbaus are concerned, the fruit used for the berimbau's resonator, while still known in Brazil as 'cabaça', it is not technically a gourd (family Cucurbitaceae); instead, it is the fruit of an unrelated species, the tree Crescentia cujete (family Bignoniaceae), known in Brazil as calabaça, cueira and cuia or cabaceira. These categories relate to sound, not to size. The berimbau's quality does not depend on the length of the verga or the size of the gourd, rather on the diameter and hardness of the verga's wood and the quality of the gourd. Making the three sounds of a berimbau. A: buzz sound. B: high sound. C: open string sound. The berimbau, as played for capoeira, basically has three sounds: the open string sound, the high sound, and the buzz sound. In playing the buzz sound, one holds easily the gourd closed against one's belly, while touching the string with the dobrão. A muted "tch" sound emerges. To play the open string sound, one strikes the string less than an inch up from the gourd string, with the bow balanced on the little finger so that the gourd is opened. One can grossly tune the open sound, by loosening the arame, and by sliding the gourd a little up or down from the place where the sound is best. To produce the high sound, one must hold the bow in the same way, gourd opened, and forcefully press the dobrão on the string. The sound differs from the low sound in tone and in timbre. Old recordings and musicians report that the difference in tone used to be about 1 tone (the interval from C to D). One can press the dobrão away enough from the gourd for this only if the bow is about 4 feet (1.2 m) to 4 feet 2 inches (122 to 127 cm); that was the length of the bows in the 1940s and 1950s. Today, many berimbaus are overgrown to 5 feet (150 cm), and tuning options are limited in berimbau ensembles. Other sounds may appear in a berimbau performance, but only these define capoeira's rhythmic patterns (except Iuna). Closing and opening the gourd while the string resounds produces a wah-wah effects, which depends on how large the gourd opening is. Whether this effect is desirable or not is a matter of controversy. Pressing the dobrão after striking the string is a widely used technique; so is closing neatly the gourd while the string resounds to shut off the sound. A specific toque requires the open string sound with closed gourd. Musicians use whatever sound they may get out of the string. It is not often considered bad practice to strike other parts of the instrument. As with most aspects of playing the berimbau, the names of the techniques differ from teacher to teacher. Most teachers, and most students, worry more about producing a nice sound than about naming the individual sounds. Of course, the strength (velocity, accent) with which one lets the baqueta hit the string is paramount to rhythm quality. The open sound is naturally stronger (meaning that, for a constant-strength strike, the other two sound weaker), but the musician may decide which strikes to stress. Also, the sound tone shifts a little with the strength of the strike, and some sophisticated toques make use of this. Capoeira musicians produce many variations upon this pattern. They give names to known variations, and when such a named variation occurs repeatedly (but not exclusively) while playing, they call what they are playing by the name of that variation. The most common names are "Angola" and "São Bento Grande". There is much talking about the meaning of these terms. There is no short way to wisdom in capoeira; one has to make up one's own mind. The gunga plays "Angola" and is most commonly played by a Mestre or the highest grade Capoeirista around. Depending on the style of the group and the personality of the individual, the gunga may improvise a lot or stick strictly to the main rhythm. The person playing the gunga at the beginning of a roda is often the leader of the roda and the other instruments follow as well. The gunga player may also lead the singing, which is made easier by the simple rhythm and little variation that he plays. The gunga is used to call players to the pé-do-berimbau (foot of the berimbau, where players enter the game). 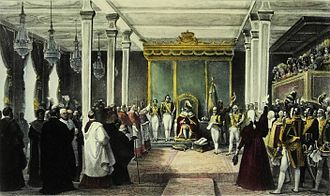 The médio plays "Sao Bento Pequeno". For instance, while the gunga may play a simple, eight-unit pattern like (xxL.H.H. ), the viola (or médio) can play a sixteen-unit variation, like (xxL.xLHL|.xL.H.H.). The dialog between gunga and viola (or médio) gives the toque its character. In the context of capoeira Angola, the médio inverts the gunga's melody (Angola toque): (xxL.H...) by playing São Bento Pequeno: (xxH.L...) with moderate improvisation. The viola plays "Sao Bento Grande". Mostly variations and improvisations. It may described as the "lead guitar" of the "bateria". There is no further general rule. Every master has his own requirements for the interaction between musicians. Some want all the instruments in unison. Others reserve uniform play for beginners and require significant variation from their advanced students, as long as the characteristic of the "toque" is not blurred. Tuning in capoeira is also loosely defined. 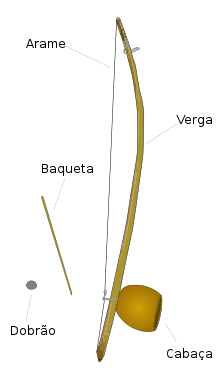 The berimbau is a microtonal instrument and while one can be tuned to play a major or minor 2nd, the actual tone is approximately a neutral second lying between a whole and half tone. The berimbaus may be tuned to the same pitch, differing only in timbre. More commonly, low note of the médio is tuned in unison to the high note of the Gunga, and likewise for the viola to the médio. Others like to tune the instruments in 4ths (C, F, B flat) or a triad (C, E, G). Any tuning is acceptable provided it sounds good to the master's ear. There are countless different rhythms or toques played on the berimbau. Capoeiristas and masters engage in endless debate about the denominations of the rhythms, the loose or tight relations of any definite rhythmic pattern to a toque name, to speed of execution, and to the type of Capoeira game it calls for. Each group delivers its own definitions to beginners. São Bento Pequeno de Angola Invertido: similar to Angola but with the high and low tones reversed (xxH.L...). São Bento Pequeno is typically played on Médio in conjunction with Angola on the Gunga. Toque de Iúna: introduced to capoeira by Mestre Bimba. (L-L-L-L-L-xxL-L.) (the '-' = touching the dobrão to the arame without hitting). Cavalaria: in the past, used to warn Capoeiristas of the approach of police. (L.xxL.xxL.xxL.H.) is one example, variations exist. Electronic artist and multi-instrumentalist Bibio makes use of the berimbau on the track "K Is For Kelson", the first single from his 2011 album Mind Bokeh. Candomblé-de-caboclo songs have been recorded by ethnomusicologists to the accompaniment of berimbau. Musicians have also played Ketu, Gêgê and Angola candomblé rhythm patterns on berimbau, but this does not appear to have any relationship either with the cults or with capoeira. Berimbau has appeared in a number of bands as a marker of Afro-Brazilian origin. 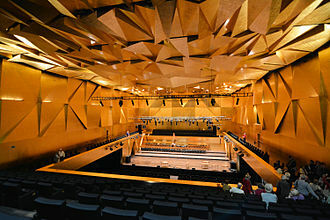 Nana Vasconcelos, since the late 1970s, has played berimbau and other percussion with modern jazz musicians worldwide. Paulinho Da Costa is a highly sought after studio musician. 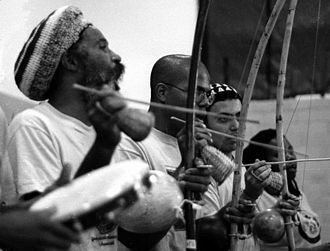 Dinho Nascimento, a Brazilian percussionist, has used the cberimbau as his main instrument for music recordings, like Berimbaus Blues, and has a group of Capoeira named orchestra Orquestra de Berimbaus do Morro do Querosene. Max Cavalera is the lead singer and guitarist in metal bands Sepultura, Soulfly and Cavalera Conspiracy. Cut Chemist, turntablist of such groups as Ozomatli and Jurassic 5, made use of the berimbau in his single "The Garden," on his album The Audience's Listening. TaKeTiNa - The berimbau is used as a drone, along with the surdo, which serves as the "heartbeat", as part of the TaKeTiNa Rhythm Process, a musical, meditative group process for people who want to develop their awareness of rhythm. Minnesota metal band GRYZOR uses a modern contemporary version of the berimbau in their live show. Mauro Refosco, a Brazilian percussionist and member of bands Forró In The Dark and Atoms For Peace, plays the berimbau in the live rendition of the Atoms' "The Clock". Mickey Hart, percussionist for the Grateful Dead, played the berimbau on the song "Throwing Stones" from the CD In the Dark, as well as on several of his solo works. The Siddi of India, who are the descendants of East African immigrants, play a similar instrument called the malunga. The Chamoru of Guam also play a similar instrument called belembao or belembaotuyan. The similarity between the names "berimbau" and "belembao" is intriguing since there is no acknowledged link between the Pacific society and Brazil, although it is most likely that knowledge of the African-derived berimbau was transported to Guam via Spanish colonial trade (Guam having once been under Spanish imperial influence). Wikimedia Commons has media related to berimbau. ^ a b "Royal Museum for Central Africa, Belgium". Retrieved 2015-04-11. ^ Funso S. Afọlayan (2004). Culture and Customs of South Africa. Greenwood Publishing Group. ISBN 978-0-313-32018-7. Retrieved 10 August 2012. ^ Obi, T.J. Desch (2008). Fighting for Honor: The History of African Martial Art Traditions in the Atlantic World. Columbia, South Carolina, USA: University of South Carolina Press. p. 184. ISBN 9781570037184. Berimbau Free berimbau instructional videos taught by Mestre Virgulino. He served as a national diplomat, composed his own bossa nova music and, as an interpreter of his own lyrics, recorded several significant albums. In 1916, he moved with his family to various addresses at the quarter of Botafogo. In 1920, through his grandfather, he gained entrance at a Masonic lodge. During his visits to his folks home, Vinícius was to get in touch with various musicians, three years later, he became friends with the brothers Paulo and Haroldo Tapajós, with whom he assembled his first musical compositions, which were performed at friends parties. In 1929 he completed school, as his family moved back to Gávea. Faria encouraged Moraes literary vocation, turning him into a kind of rightwing fellow traveller, Vinícius de Moraes received his B. A. degree in Legal and Social Sciences in 1933. Upon completing his studies, he published his first two collections of poetry, Caminho Para a Distância and Forma e Exegese, faria, at the time was to write an essay comparing Vinícius poetry with that of his symbolist and Catholic comrade-in-arms, Augusto Frederico Schmidt. Despite their mutual estrangement, Vinícius would afterwards write two sonnets - the first in 1939, the second during the 1960s in praise of his old friend, Vinícius wrote his third book Ariana, a Mulher. In 1936, he got the job of film censor for the Ministry of Education, two years later, Moraes won a British Council fellowship to study English language and literature at Oxford University. He is usually equated with his contemporary and friend João Cabral de Melo Neto for the technical skill of their poetry. The basic meter in Vinícius love poetry is the decasyllable, taken mostly from Camões lyrical poetry - therefore the classical accent of his mature production, during his stay in England, Vinícius was to write a collection of verse published under the title Novos Poemas. At that time he was married - by proxy - for the first time with Beatriz Azevedo de Mello, in 1941, he returned to Brazil, working as film critic for the newspaper A Manhã. The following year, he failed his first test of admission to the career at the Ministry of Foreign Affairs. Microtonal music or microtonality is the use in music of microtones—intervals smaller than a semitone, which are called microintervals. It may be extended to any music using intervals not found in the customary Western tuning of twelve equal intervals per octave. Microtonal music can refer to any music containing microtones, therefore it is important to comprehend what a microtone is, the words microtone and microtonal were coined before 1912 by Maud MacCarthy Mann in order to avoid the misnomer quarter tone when speaking of the srutis of Indian music. Prior to this time the quarter tone was used, not only for an interval actually half the size of a semitone. 1998, Wallon 1980,13, Whitfield 1989,13, microinterval is a frequent alternative in English, especially in translations of writings by French authors and in discussion of music by French composers. In English, the two terms microtone and microinterval are synonymous, microtone is sometimes used to refer to individual notes, microtonal pitches added to and distinct from the familiar twelve notes of the chromatic scale, as enharmonic microtones, for example. In English the word microtonality is mentioned in 1946 by Rudi Blesh who related it to microtonal inflexions of the blues scales. It was used earlier by W. McNaught with reference to developments in modernism in a 1939 record review of the Columbia History of Music. The term microinterval is used alongside microtone by American musicologist Margo Schulter in her articles on medieval music, the term microtonal music usually refers to music containing very small intervals but can include any tuning that differs from Western twelve-tone equal temperament. Microtonal variation of intervals is standard practice in the African-American musical forms of spirituals, many microtonal equal divisions of the octave have been proposed, usually in order to achieve approximation to the intervals of just intonation. Terminology other than microtonal has been used or proposed by some theorists, in 1914, A. H. Fox Strangways objected that heterotone would be a better name for śruti than the usual translation microtone. The musical bow is a simple string musical instrument part of a number of South African cultures, found in other places in the world through the result of slave trade. It consists of a flexible, usually wooden, stick 1.5 to 10 feet long and it can be played with the hands or a wooden stick or branch. Often, it is a normal archery bow used for music, types of bow are different mouth-resonated string bow, earth-resonated string bow, gourd-resonated string bow, bridged string bow, spiked fiddle, and bowed trough fiddle. Although the bow is now thought of as a weapon, it is not clear whether it was used in this way originally. 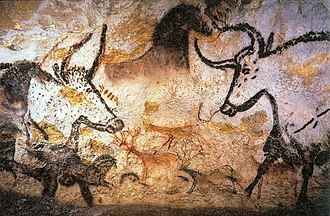 A cave painting in the Trois Frères cave of southern France, dated to around 13,000 BCE, displays a bow being used as a musical instrument, Musical bows are still used in a number of cultures today. It can be found as far south as Swaziland, and as far east as eastern Africa, the usual way to make the bow sound is to pluck the string, although sometimes a subsidiary bow is used to scrape the string, much as on a violin. The Onavillu of Kerala sounds when struck with a thin stick, unlike string instruments used in classical music, they do not have a built-in resonator, although resonators may be made to work with the bow in a number of ways. The most usual type of resonator consists of an attached to the back of the string bearer. The bow may be stood in a pit or gourd on the ground and this last method allows the size of the resonator to be varied as the instrument is played, thus allowing a melody to be heard consisting of the notes resonating in the players mouth. As well as various forms of resonators, the bow is frequently played without a resonator at all. In Africa the musical bow is usually played by a solo performer, in Capoeira, the berimbau is played as part of the roda, a musical group standing in a circle, in the centre of which the Capoeiristas perform or play. 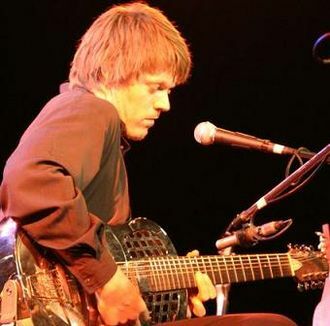 The Appalachian mouth-bow can be played amplified in old-time music jams, due to the nature of their construction and playing, musical bows are quiet instruments, therefore needing a resonator to resound. 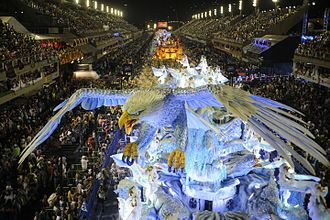 It is recognized around the world as a symbol of Brazil and the Brazilian Carnival. Considered one of the most popular Brazilian cultural expressions, samba has become an icon of Brazilian national identity. The Bahian Samba de Roda, which became a UNESCO Heritage of Humanity in 2005, is the root of the samba carioca. Traditionally, the samba is played by strings and various instruments such as tamborim. Influenced by American orchestras in vogue since the Second World War and the impact of US music post-war, samba began to use trombones, choros, flutes. Anonymous community artists, including painters, sculptors and stylists, make the clothes, carnival floats, there is a great tradition of ballroom samba in Brazil, with many styles. The Samba National Day is celebrated on December 2, the date was established at the initiative of Luis Monteiro da Costa, an Alderman of Salvador, in honor of Ary Barroso. He composed Na Baixa do Sapateiro even though he had never been in Bahia, thus 2 December marked the first visit of Ary Barroso to Salvador. Initially, this day was celebrated only in Salvador, but eventually it turned into a national holiday, Samba is a local style in Southeastern Brazil and Northeast Brazil, especially in Rio de Janeiro, São Paulo and Recife. The etymology of samba is uncertain, possibilites include, The Portuguese verb sambar, to do joiners work, and the Portuguese noun sambúco, a historic string instrument, a kind of harp or lyre. It is uncertain whether the African Semba dance is related to the Brazilian Samba, in only two Bantu languages does the verb-root semba mean dance, while in others it denotes unrelated things like hunger or cloth. 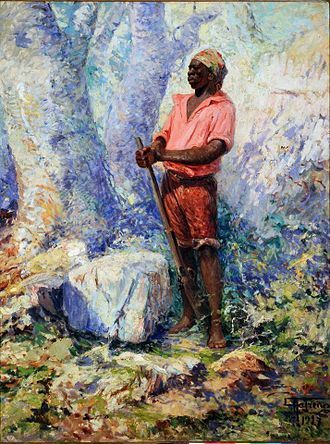 According to Hiram Araújo da Costa, over the centuries, the festival of dances of slaves in Bahia were called samba. In Argentina, there is a dance called Zamba, a name seems to share etymological origins with the Samba. Early styles of samba - and specifically samba de roda - are traced back to the Recôncavo region of Bahia during the 17th century, and the informal dancing following a candomblé ceremony. The tongue/reed is placed in the performers mouth and plucked with the finger to produce a note. Jews harps may be categorized as idioglot or heteroglot, the shape of the frame, by the number of tines, the frame is held firmly against the performers parted teeth or lips, using the jaw and mouth as a resonator, greatly increasing the volume of the instrument. The volume of the note can be varied by breathing in, according to the 1911 Encyclopædia Britannica, The vibrations of the steel tongue produce a compound sound composed of a fundamental and its harmonics. By using the cavity of the mouth as a resonator, each harmonic in succession can be isolated and reinforced, the lower harmonics of the series cannot be obtained, owing to the limited capacity of the resonating cavity. 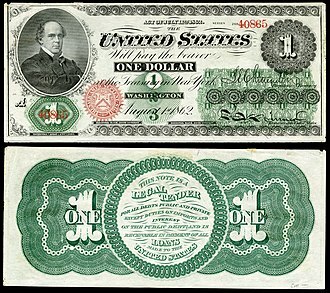 The black notes on the show the scale which may be produced by using two harps, one tuned a fourth above the other. The player on the Jews harp, in order to isolate the harmonics and this instrument is considered to be one of the oldest musical instruments in the world, a musician apparently playing it can be seen in a Chinese drawing from the 4th century BC. Despite its common English name, and the sometimes used Jews trump and this instrument is native to Asia and used in all tribes of Turkic peoples in Asia, among whom it is variously referred to as a temir komuz, agiz komuzu, gubuz or doromb. When the tongue is made to vibrate, a buzzing is heard which imitates that of bees, several Jews harps of various sizes, a curious harmony is produced. The instrument is known in different cultures by many different names. The common English name Jews harp is considered controversial or potentially misleading. Since trances are facilitated by droning sounds, the Jews harp has been associated with magic and has been an instrument in shamanic rituals. The temir komuz is made of iron usually with a length of 100–200 mm, the range of the instrument varies with the size of the instrument, but generally hovers around an octave span. The Kyrgyz people are proficient on the temir komuz instrument and it is quite popular among children. There is a National Artist of Kyrgyz Republic who performs on the instrument, one time twenty Kirgiz girls played in a temir komuz ensemble on the stage of the Bolshoi Theater in Moscow. Cavalera Conspiracy is an American heavy metal band founded by Brazilian brothers Max and Igor Cavalera, currently performing along with American musicians Marc Rizzo and Johny Chow. The band originally formed in 2007 as Inflikted but changed its name for legal reasons, the groups creation marked the end of a 10-year feud between the Cavalera brothers who founded Sepultura in the early 1980s. Following the brothers falling out, Max had formed a new band and Igor had recorded four studio albums with Sepultura before leaving the band in January 2006. In July 2006, Max received a call from his brother. Igor joined Soulfly in concert and performed two Sepultura songs, after the show, Max suggested they begin a new project, and Igor accepted. To complete the band, Max chose Soulfly guitarist Marc Rizzo, the group recorded their debut album at Undercity Studios in Los Angeles with engineer and co-producer Logan Mader in July 2007. Named after the original moniker, Inflikted was released through Roadrunner Records on 25 March 2008. On 16 August 1996 at 1,43 a. m, Max Cavaleras stepson Dana Wells, was killed in a car accident at the age of 21 in Phoenix, Arizona. At the time, Cavalera was the lead vocalist for Sepultura which was on promoting its sixth studio album, Roots. After hearing the news and his wife Sharon Osbourne hired a plane to take Cavalera and his wife and mother of Dana, Gloria. After the funeral, Max returned his focus to Sepultura, told Max they wanted to replace numerous members of the bands staff, including Gloria. Andreas and Igor proposed ending the contract with Gloria and hiring a new manager for Sepultura, the trio suggested that she could continue as Maxs personal manager but that someone else should manage the band. Max felt betrayed by his mates, especially his brother, Max decided to leave Sepultura, as he felt that his band mates were biting the hands that feeds. In an interview with Revolver magazines May 2008 issue, Max explained that Gloria had worked for Sepultura for two years without earning one dollar, just for the passion of the music. Manoel dos Reis Machado, commonly called Mestre Bimba, was a mestre of the Brazilian martial art of capoeira. Machado was born in Salvador in the year 1899 but was not officially registered until 1900, despite his being born in 1899,1900 is the date most commonly known and published. The son of Luiz Cândido Machado and Maria Martinha do Bonfim, Manoel was born at the Bairro do Engenho Velho, the nickname Bimba, whose literal meaning was phallus, came up due to a bet between his mother and the midwife during his birth. His mother bet that he was going to be a girl and the bet he would be a boy, after he was delivered. In the context of Brazil, Bimba meant beating and he would be known as one of the legendary founding fathers of contemporary capoeira, the other being Vicente Ferreira Pastinha, the father of modern capoeira angola. Machado was a miner, warehouse man and horse coach conductor. At 18, Bimba felt that capoeira had lost all its efficacy as a martial art, Bimba was the 1st to create a method of teaching to help facilitate learning because until then, capoeira was only learned by watching and participating in the roda. This was the beginning of the development of capoeira regional and it has been theorized that Bimba received influence by other martial arts when adding and perfecting movements to the capoeira repertoire. On the other hand, it is known that Bimbas student Cisnando Lima was trained in judo under Mitsuyo Maeda and Takeo Yano, and that other students sometimes faced Japanese martial artists in fights. In 1928, a new chapter in the history of capoeira began, Machado founded the first capoeira school in 1932, the Academia-escola de Cultura Regional, at the Engenho de Brotas in Salvador, Bahia. Previously, capoeira was only practiced and played on the streets, capoeira was still heavily discriminated against by upper-class Brazilian society. In order to change the reputation of capoeira and its practitioners as devious and malicious. His students had to wear a clean, white uniform, show proof of grade proficiency from school, exercise discipline, show good posture and many other standards. As a result, lawyers, upper-middle-class people, Bimba was not completely against accepting excepcionally poor students, but only when they showed talent or attitude. A gourd is a plant of the family Cucurbitaceae, particularly Cucurbita and Lagenaria or the fruit of the two genera of Bignoniaceae calabash tree and Amphitecna. The term refers to a number of species and subspecies, many with hard shells, likely one of the earliest domesticated types of plants, subspecies of the bottle gourd, Lagenaria siceraria, have been discovered in archaeological sites dating from as early as 13,000 BC. Gourds have had numerous uses throughout history, including as tools, musical instruments, objects of art, gourd is occasionally used to describe crop plants in the family Cucurbitaceae, like pumpkins, squash and melons. More specifically, gourd refers to the fruits of plants in the two Cucurbitaceae genera Lagenaria and Cucurbita, or to their hollow, dried-out shell, a gourd can have a hard shell when dehydrated. There are many different gourds worldwide, the main plants referred to as gourds include several species from the Cucurbita genus, Crescentia cujete and Lagenaria siceraria. The bitter melon/balsam apple/balsam pear is referred to as a gourd. 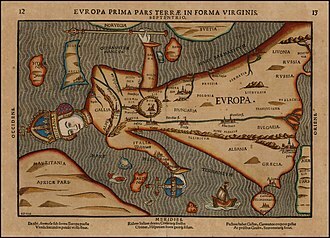 L. siceraria was brought to Europe and the Americas very early in history, being found in Peruvian archaeological sites dating from 13,000 to 11,000 BC and Thailand sites from 11,000 to 6,000 BC. The gourds found in the Americas appear to have come from the Asian subspecies, very early in history, a new study now indicates Africa. The archaeological and DNA records show it likely that the gourd was among the first domesticated species, gourds continued to be used throughout history, in almost every culture throughout the world. European contact in North America found extensive use, including the use of bottle gourds as birdhouses to attract purple martins. Almost every culture had musical instruments made of gourds, including drums, stringed instruments common to Africa and wind instruments and these include Teasle gourd, Spine gourd, Sweet gourd, balsam apple and Momordica sahyadrica. Cultures from arid regions often associated gourds with water, and they appear in creation myths. Mbira dzavadzimu in a deze. An octagonal mbira of high craftsmanship which spans two octaves. Singer and guitarist Max Cavalera formed Sepultura, along with his brother Igor, in 1984, and stayed with the band until 1996. Derrick Green has been the singer of Sepultura since 1998, when he replaced Max Cavalera, who had left the band in 1996. 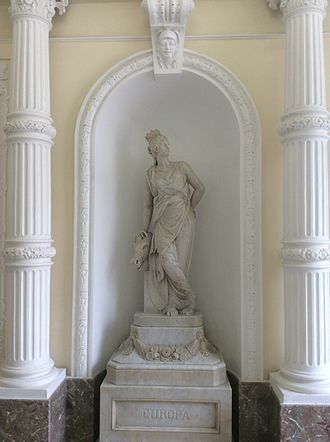 Sculpture of Vinicius, commemorating his work "Uma tarde em Itapua".